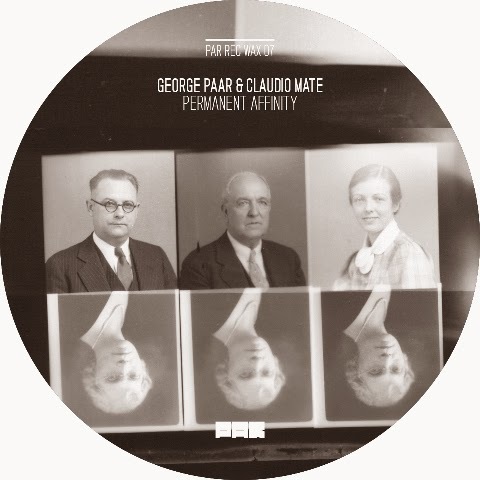 “Permanent Affinity” is another split release on Par Recordings, Montevideo. Label head George Paar embarks on a fast-paced night flight with stringent and sterile sequencing in “The Song That Never Ends” where the noisiness dominates over the grooves. The B-side belongs to Italian artist Claudio Mate who has previously recorded for a number of outlets and most notably for Applied Rhythmic Technology. Mate prefers a restrained stance and after unspectacular start, “Orion Dub” is helped out by deeper bass and dub flavours.